After 50 Years, Ginsberg's 'Howl' Still Resonates Fifty years ago this month, a San Francisco bookstore published Howl, a controversial poem that became an anthem for the Beat Generation. Alan Ginsberg became a legend. 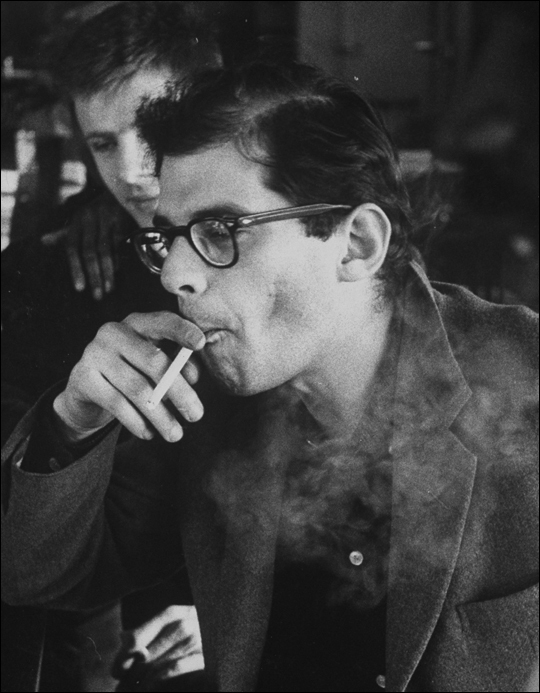 Beat poet Allen Ginsberg pictured in 1960. Download MP3: Anne Waldman and Ginsberg reading, including Howl (1975) Size: 33MB. Source: Naropa Poetics Audio Archives. Contains adult content and language. When poet and publisher Lawrence Ferlinghetti heard Howl in 1955, he sent a telegram to Alan Ginsberg. Ferlinghetti recognized that Ginsberg's work had the potential to reshape the dominant poetic tradition. Fifty years later, the poem stands as a watershed. Ginsberg, the son of a traditional poet and initially a student at Columbia University, found liberation from the East Coast establishment in the San Francisco of Ferlinghetti and the beat poets. "San Francisco was, in a way, a refuge for people from all over the country," says Jonah Raskin who authored a book about Howl called American Scream. "In the '40s there was a substantial community of anarchists, pacifists, experimental poets. In part because it was far away from the East Coast centers of power and you could do things that you couldn't do elsewhere, there was an invitation to experiment. Ginsberg became part of this intellectual and cultural scene right away." Ginsberg bought a tape recorder and practiced reading his poems aloud because poetry as performance art was blossoming in San Francisco nightclubs. He quit his work in corporate advertising and began work on Howl. He first read the poem at the Six Gallery in San Francisco. Jack Kerouac of On the Road fame was there pouring wine. And so was Ferlinghetti, who had added a coda to that congratulatory 1955 telegram: "When do we get the manuscript?" Publishing Howl was not a trivial matter. Ferlinghetti -- who got his manuscript -- rightly anticipated trouble with the law over the poem's explicit content. So he sent it to England to have it printed. Not long after it arrived in San Francisco, police arrested a bookseller at City Lights -- the iconic book store -- and charged publisher Ferlinghetti with obscenity. The ensuing trial delighted Ginsberg, who knew it would only enhance the poem's reputation. Judge Clayton Horn ruled that the poem had not been written with lewd intent. Poet Bob Hass says Howl still provokes strong criticism. "It still seems like literary sensationalism and bad manners in a repellant way to certain kinds of writers," says Hass. "But my experience of teaching students year after year American poems that interest me is that they mostly respond very powerfully to this poem, in a way that every generation has."